Superannuation is important to all Australians. As a nation, we are living longer and by doing so, need to fund our retirement longer because of this. By adding to your super well in advance of needing it you can drastically alter the quality of life you live after you finish working. 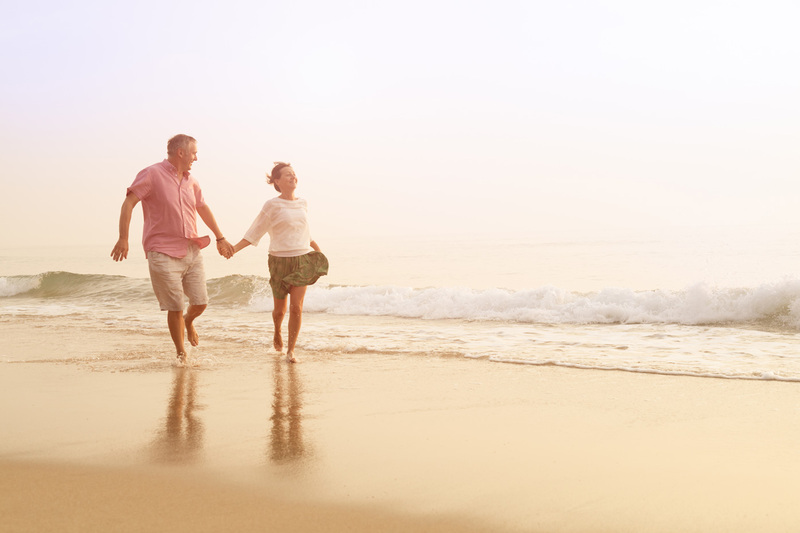 Despite the changes superannuation remains a great way to save and plan for retirement. For example – while you’re working you’re taxed 15% on all earnings and capital gains are taxed at 10% compared to the highest marginal rate of 45%. NOTE: Currently Centrelink’s maximum annual age pension is currently $22,804 and $34,382 for singles and couples respectively. Keep in mind that not everyone is eligible for government assistance. * Assuming the individuals/couples are in good health and own their own home. Will I Be Affected By The Changes? All Australians will be affected regardless of where they’re living or how much they earn. Each Australian will be affected in different ways and there is a lot that can be done before and after the new rules kick in on July 1, 2017. Unsure Where To Start With The New Changes To Superannuation? The government’s changes to superannuation will affect many of Australians. Unsure of how the changes will impact your situation specifically? Talk to us today and we can help! There have been multiple rule changes. It is important to realise how the changes impact you as well as the aspects that haven’t changed. Here are some of the key areas to note when considering your super. Here are some of the key areas to note when considering your super. From July 1st – anyone under 75 can claim a tax deduction for personal payments made to super up to $25,000 (work test applies for those 65 – 75). The $25,000 limit also includes employer and salary sacrifice contributions – 15% contributions tax will apply. This now means you can now claim a tax deduction of up to $25,000 of your personal contributions into super. Potentially saving people approximately $4,750 in tax for people with a tax rate of 34% (up to $87,000 annual income). The amount you can add to your super has been reduced. If you’re under 65 you can bring forward three years’ worth of after-tax contributions until your balance reaches $1.6million. $540,000 before July 1, 2017 and $300,000 after. That’s the equivalent of 3 x $100,000 as part of the new non-concessional contribution bring forward rule. This means you can potentially get more savings and assets into the super environment where you can then draw a tax-free income from your super/pension to fund your life in retirement. ♦ No further after-tax contributions to your total super balance will be allowed if the total balance exceeds $1.6 million. ♦ There will also be a lifetime cap on transfers to retirement income accounts. From July 1 there will be a cap of $1.6million super you can transfer into retirement income accounts over your lifetime. ♦ If you have more than $1.6 million in your income account after July 1 you’ll need to transfer the excess into a super (accumulation) account where you’ll pay 15% tax on earnings or withdraw it as a lump sum. There have been recent changes to the asset testing for the age pension. The limits to how much income you can earn and qualify for the age pension haven’t changed. As we said before it’s important to know that age pension is almost half of the estimated living costs for a retired couple. Need help understanding how you’ll be impacted? By contributing into your spouse’s super you could be eligible for a low-income spouse offset if your spouse earns less than $40,000 a year and be under 70 years old. You can potentially save up to $540 in tax. Contributions above $3,000 do not receive the offset. 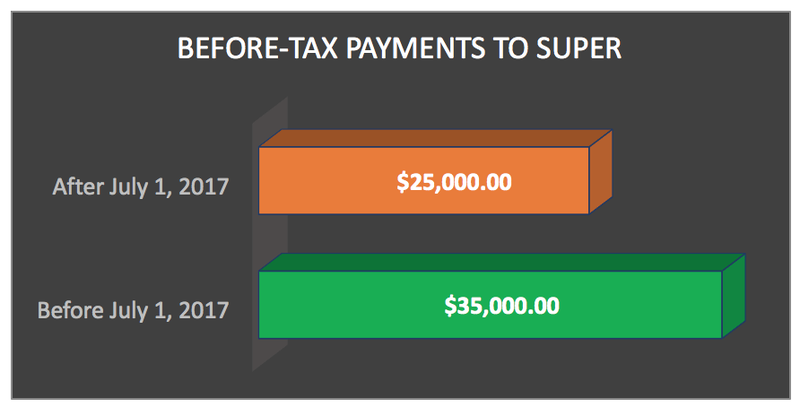 After July 1, 2017, the most you can pay into your super from your before-tax pay at the 15% tax rate will be $25,000. This is work tested for those aged 65 to 74. Note: For those under 50 years old the Before-Tax contributions are limited to $30,000. For those that have less than $500,000 in super, you may be able to make catch-up payments if you haven’t reached your $25,000 a year limit during a rolling five-year period. After July 1, 2017, a 30% tax rate will apply to before-tax payments for those that earn $250,000 or more inclusive of employer contributions. Investment earnings on assets in your TTR income account will be taxed at 15% until you retire. This could impact those who are wanting to work less or save more. Due to these recent changes, we’re offering an obligation free initial meeting to help you better understand the super changes and how they impact your individual circumstance. What Do The Changes Mean For Me? By maximising the arbitrage that exists between the marginal rate of tax you pay and 15% tax payable on super for salaries below $250,000. 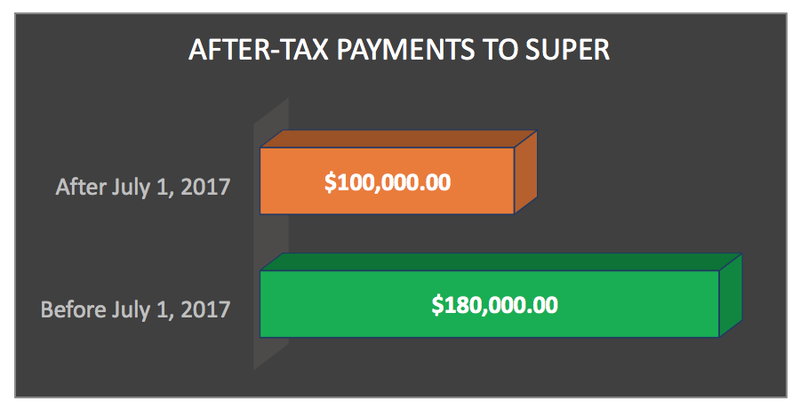 For marginal rate above $250,000 of 45% ++, the tax on super is 30% but some benefit does still exist. We have just made $3,500 with only a small change. Currently, an income tax deduction for personal superannuation contributions is only available to people who earn less than 10% of their income from salary or wages. This limits the ability for people in certain work arrangements to benefit from concessional contributions to their superannuation. Under the new arrangements, more individuals will be able to make concessional personal contributions up to the annual cap, regardless of whether your employer pays super on your behalf. Chris has started his own online merchandise business but continues to work part-time at an accounting firm earning $10,000 as his business is growing. His business earns $80,000 in his first year and he would like to contribute $15,000 of his $90,000 income to his superannuation. He currently could not claim a tax deduction for any personal contributions. Under the changes, Chris could claim a tax deduction for his $15,000 of superannuation contributions. Jill is age 68 and earns $15,000 per annum from part-time employment (and meets the work test) and receives $90,000 in taxable income from investments. Jill would like to contribute $20,000 to her superannuation. Previously she could not claim a tax deduction for any personal contributions. Under the changes, Jill could claim a tax deduction for her concessional contributions to super, creating a personal income tax saving of approximately $7,000. Talk to our superannuation specialists today to tailor your super strategy. What Can I Do Before The Changes? Because the before-tax super contributions will be decreased as of July 1, 2017, by $5,000 or $10,000 depending on your circumstance there is an opportunity to contribute these amounts before the cap is lowered. This can potentially save you between $1,700 and $3,400 respectively based on people with a Marginal Tax Rate of 34% (for those earning around $87,000). Depending on your situation there is an opportunity to contribute $80,000 more in after-tax contributions than will be possible after July 1, 2017. Also, if you’re under 65 you could bring forward three years’ worth of after-tax contributions to a maximum of $540,000. This means more savings and assets into super to eventually have tax free pension in retirement. We’ve been asked plenty of questions by our clients and here are some of the more popular questions we’ve been asked. Is it smart to continue increasing contributions after July 1, 2017? Yes, it is smart to increase contributing HOWEVER this is not the case if you exceed the new limits. REMINDER – The concessional limit is $25,000 per year and for non-concessional, it will be $100,000 per year. How is the Super Guarantee impacted by the changes? In short, it is not. It is important to know that the new limit of $25,000 includes your super guarantee and if your super guarantee is currently at $10,000, it means you can still contribute a further $15,000 before reaching your cap. Won’t these changes only impact the rich/those earning over $250,000 p/a? 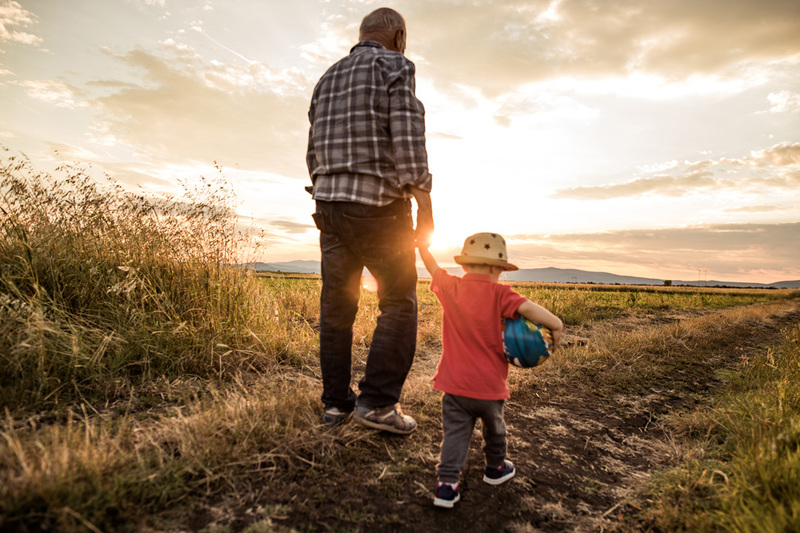 These changes will impact the vast majority of Australians in the superannuation system that includes high-income earners as well as those on a more modest wage. The high-income earners might be more affected by the new change to the $1.6 million contribution cap. The other income earns may feel the effects of the tax allowances for contributions as mentioned above. Book your obligation free super strategy session today! We hope this article was helpful to you. In order for us to provide you with advice tailored to your specific situation and best interests, we need to get to know you.